Do you have your eye on one of those limited production supercars? We can help you make this dream a reality. Our team of high-end car finance experts will put together a bespoke, flexible arrangement to suit you and your future needs. Our personal service means that we can take into account many more factors than a high street lender – for instance the car’s true residual value, other assets you may own or your business situation – and come up with a fast decision and a plan to suit you. We often offer lower payments than other lenders, and we can offer finance to clients who may be turned away by automated checklists of other companies. So contact us about finance, either while hunting for the perfect Pagani, before attending an auction, or after you’ve decided on the one. We pay the balance and you drive away in your dream car! 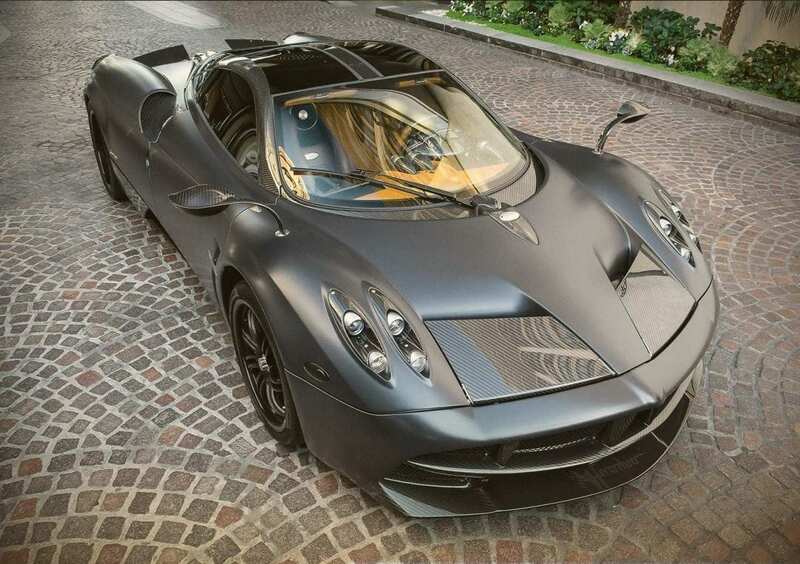 Launched at the 2011 Geneva show, the Huayra is Pagani’s second model and the replacement for the Zonda. Aside from being all new from the ground up, including a new and more spacious carbon composite tub, the Huayra also differs from the Zonda in that its 6-litre V12 – specifically developed by Mercedes-AMG – has twin turbos, and the car has both active aero and suspension. With 720bhp and 1,000Nm of torque delivered to the rear wheels via an X-trac 7-speed single-clutch sequential gearbox (c.40% lighter than a double-clutch unit), the 1,350kg Huayra can accelerate to 60 in 2.8 secs and reach a 238mph top speed. Thanks in part to its four computer-controlled aero flaps, it can generate up to 1.66 lateral g in corners. It was announced at launch that no more than 100 Huayras would be built. All were soon sold, initially at €850k plus tax, although by March 2013 the price had risen to well over €1m. With planned production of 20 cars, the track-focussed €2.1m Huayra BC was launched at the Geneva show in 2016. With a lighter tub made from a stiffer ‘carbo-titanium triax’ material, a stripped out interior, new wheels, a titanium exhaust, aero-grade suspension components, front splitters, deeper side skirts, a full-width rear diffuser and a big rear wing, the BC’s boasts 745bhp with 1,100Nm of torque and a 1,218kg dry weight. The 2017 Geneva show saw Pagani unveil the €2.28m (plus tax) Huayra Roadster. This comes with two removable roofs (carbon/glass and fabric), conventionally opening doors and a number of subtle interior and exterior changes. With 754bhp the Roadster is even more powerful than the BC, and weighing 1,280kg dry, it’s also lighter and has a more rigid chassis than the original Huayra coupe. Furthermore, the Roadster can generate up to 1.8 lateral g.
Huarya Roadster production is also limited to 100 cars, all of which are either sold or pre-sold. 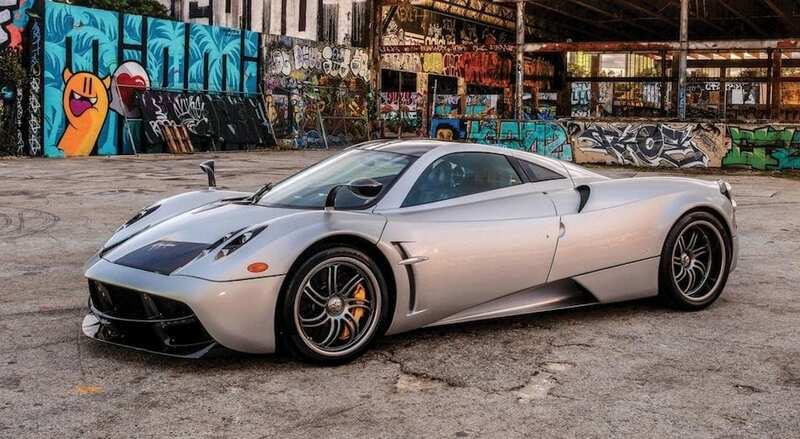 Carrying an estimate of $1.9m-$2.3m, a 2013 Huayra was offered by RM Sotheby’s in New York in December 2017. We are there for all of it, and we love to talk about it.